I know I don’t normally post on the weekends, but lately my schedule has just been nutzo and I’m just trying to fit blogging in whenever I can, so I thought I would pop in and share a post this weekend, before I hit the road again next week (I’m off to South Carolina this time!). I’ve been a fan of blogs for a few years now and one type of post that seems to pop up again and again is the “Things I’m Loving Lately” type post. It’s interesting to read about products or just random things that people enjoy. Lately, there have been a bunch of running-related products/media that I feel have really rejuvenated my love for running and I figured I’d share some of these items with you all today in a special running-themed “Things I’m Loving Lately” post. My new pink Trekz Titanium Aftershokz wireless headphones. I received a pair of these as part of my ambassadorship with Bibrave (learn more about becoming a Bibrave Pro here) I’ll be posting a full review of these beauties in the next week, but as a preview – I LOVE THEM. I have always used headphones with wires and never really thought they bothered me, but running with NO cords (the headphones connect to the music on my phone through Bluetooth) has been amazing. Another interesting feature of these headphones is that they actually don’t go into your ears – they rest on the bones right next to your ears and you hear the music through the vibrations created. This allows you to pick up on the ambient noise of your surroundings, which is a huge safety benefit (especially with all the scary stories that have popped up lately about female runners). Stay tuned for my full review later this week! I picked up Shoe Dog while on vacation in Utah because I knew I was going to need something to keep me entertained for the long flight home. 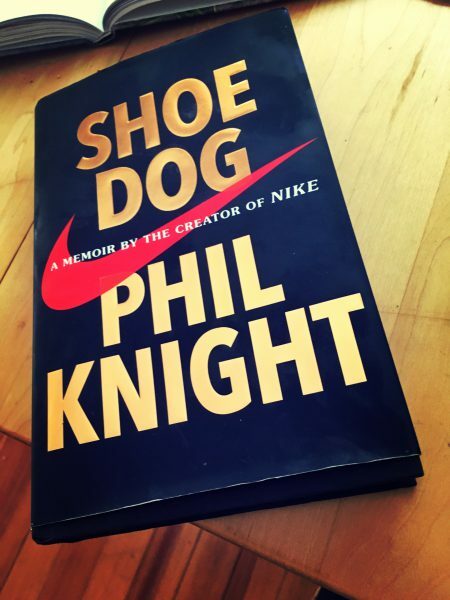 It’s a memoir written by the creator of Nike, and it is SO GOOD. It’s easy to think of Nike as this huge symbol of athletics and a billion-dollar brand and to kind of assume they’ve always been that way. It’s been so fascinating to read about all the struggles the business went through when it was just starting out, and it’s really given me a new respect for the brand. It’s so crazy to think about how far they’ve come, especially watching the Olympics and seeing so many of the world’s best athletes sporting Nike gear. I highly recommend this book, and think runners and non-runners alike would enjoy it! Now that I’m officially signed up for another marathon (eek), I want to make sure I’m putting in the work to have a good result come October 16th. 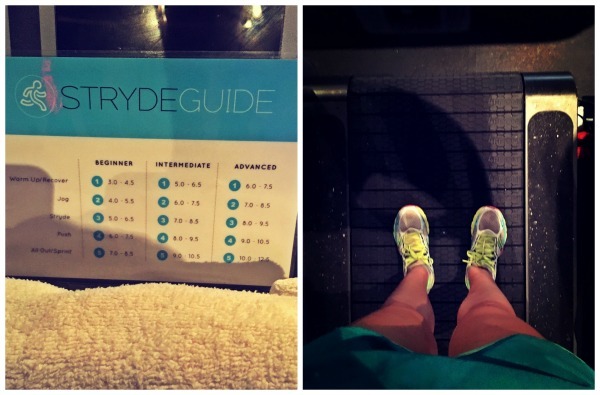 The Mystryde treadmill classes are killer workouts and just what I need. I went to one this past week and got in 6.5 miles of hills, sprints, and hard running. The instructors are fantastic and very knowledgeable about running. I think incorporating these classes into my training plan once a week will be very helpful getting me ready for Baystate. I love running podcasts, but I tend to listen to them faster than they can be produced. 🙂 That’s why I was so excited to see Bibrave coming out with their own podcast! 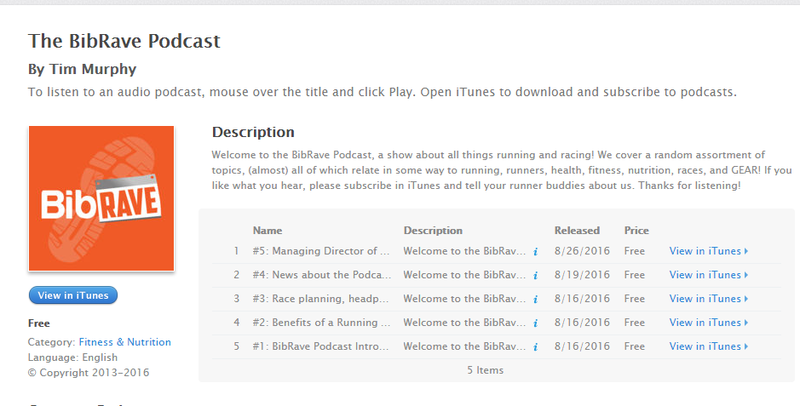 It’s a great, informal discussion of what’s going on in the running world and despite being only 5 episodes in, it’s quickly become one of my favorite podcasts to listen to. 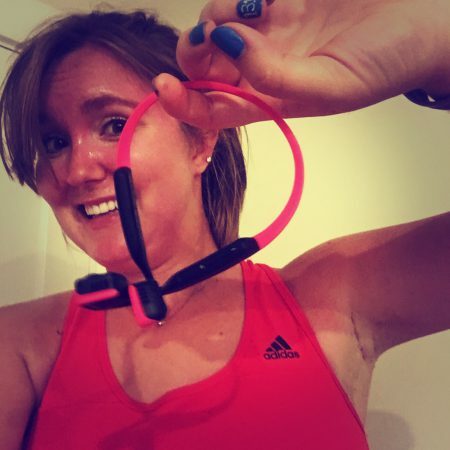 This entry was posted in Reviews and tagged Bibrave Pro, Mystryde Boston, Review, Shoe Dog, The Bibrave Podcast, Trekz Titanium Aftershokz headphones. Bookmark the permalink. You know, I might actually use headphones if they don’t have to go in your ears, and they don’t block out ambient sound.